Ann continues to throw her weight around and make things tough for the new inmates and staff, Myra and Lou continue to struggle for top-dog position and a new arrival at Wentworth proves impressive. Ann supervises the cell search and tells Joyce to confiscate a couple of items from Willie's pile of junk. Joan is eager to leave the hospital but the doctor insists she will have to stay there for two weeks. Ann shows the officers a collection of potentially dangerous items recovered in the search and warns them to follow procedures in future. The women speculate about the search: Lou says it means the Governor has "dumped" Myra. A mother in maternity panics when Nora picks up her baby, saying that she's heard Nora killed a baby at Barnhurst. Ann forbids Nora from working in the maternity wing, but doesn't punish her otherwise. Officer Slattery leads the whingeing about the staffing levels being inadequate to enforce the security clampdown, but no-one supports her. Joan meets a little girl called Tracey in hospital (who looks like she could be Shane's little sister ), and reassures her about her operation. Lexie is humilated when Julie easily beats her at cards (at blackjack, I think) to the accompaniment of Western saloon style steel guitar music. Andrew Fry tells Ann he's given Joan a stern lecture and she will return to duty as soon as the doctors clear her. However, he has really come to Wentworth to discuss Ruth Ballinger: he insists she must be given special treatment, as the Federal police will be questioning her to get information on her husband's drug empire. Nora has a flashback to the incident in Barnhurst, and how she took the blame when trying to stop another prisoner Josie killing her own baby. 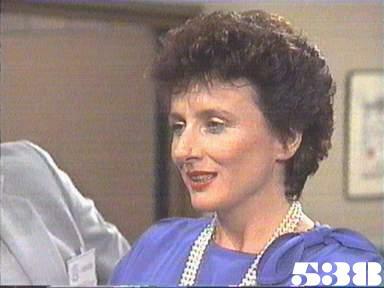 Joan stays with Tracy while she is prepared for her operation. Daphne gets agitated when May and Willie have a bickering session and runs out of the rec room: May hopes she's not getting into one of her "states". Ruth arrives with the Federal police, and entrusts her mink and jewellery to Joyce. May shows Daphne the scars on her arms from her previous attempts to harm herself. Ann asks the officers for ideas for activities for the women and Dennis suggests he could run a general knowledge quiz as he did in borstal. Nora grabs Lou by the throat when Lou taunts her, rather undermining her argument that her murders were a long time in the past. Daphne steals a thermometer from the infirmary when she is examined by the nurse. Julie is the first to meet Ruth when she is sent on a laundry pickup and after finding out some of names of the other women she gets Julie to tell her she is inside for five years for stealing money to help her mother. When she returns to see how Tracey got on, Joan is told the little girl did not survive her operation. Ruth is unhappy with her accommodation and demands a larger cell, a double bed and new furniture. When Ann objects, Ruth suggests she should contact the Federal police. Daphne cuts her arms with the broken thermometer, but Julie finds her in time and goes to fetch Nora. Joan discharges herself early from hospital, telling the doctor she has seen the proof that you can die as easily in hospital as at home. Lou is scornful of the classes offered when she reads the notice in the rec room. [She must have developed psychic powers as she can tell who is giving the classes, though the notice - which gets its own closeup - merely gives a list of the subjects] Ruth holds court in the rec room, though Myra is stolidly unimpressed. Lou works out there will be a cell search for the missing thermometer and later in the dining room she distracts Joyce during the cutlery count while Kath steals a knife. Sister Vaughan reports the thermometer missing, followed by Dennis reporting the theft of the knife. Joyce tells Mervin she wasn't offended by his declaration of love, and gives him a flustered kiss . During the cell search, the knife is found in Myra's mattress: she is sent to solitary for 24 hours. The percentage of the worldwide drugs trade supposedly controlled by Arnold Ballinger has dropped from 95% in the last episode to a not much less absurd 80% here. The backgrounder inducted as Mary Vaughan is called "Jill" by Myra.